This week's Kyuranger is a fun baseball game. Last week wasn't so impressive compared to this week. 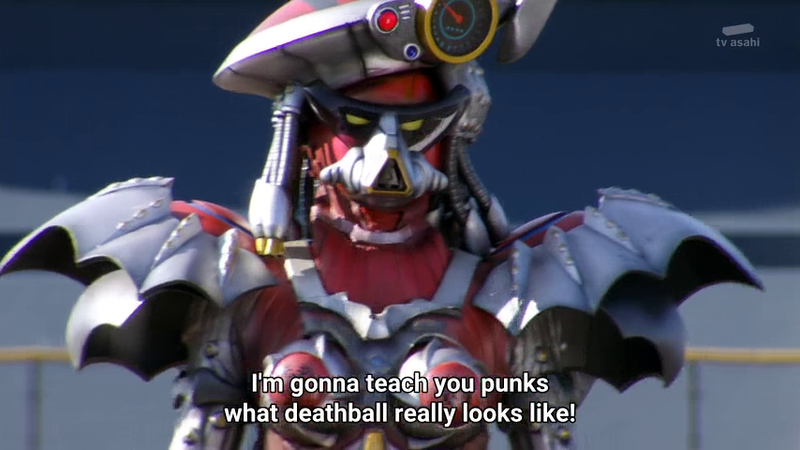 At the same time, there's a lesson to be learned especially with how Tokusatsu can get weaker episodes before you can come up with something legendary. It's a lesson on perseverance. Okay, maybe I'm expecting too much again. 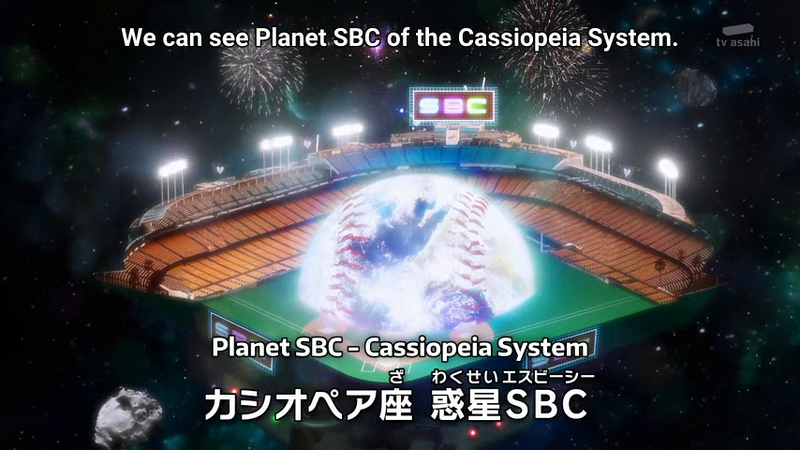 So why's Cassiopeia a baseball game stadium? Maybe I'm thinking too much of Clash of the Titans here am I not? 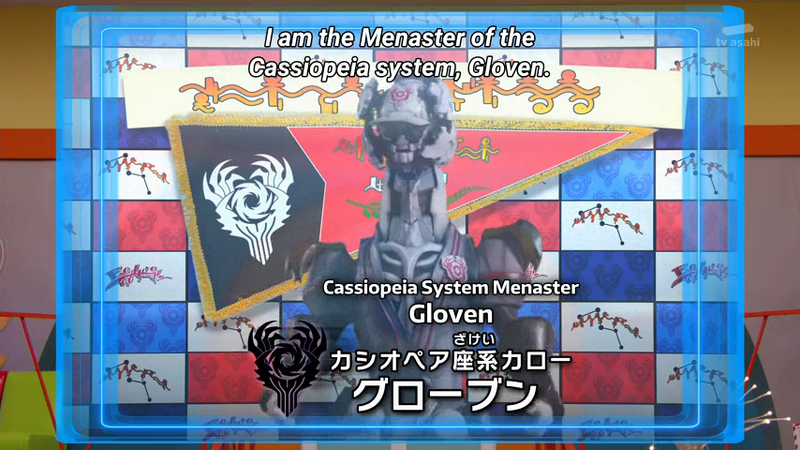 The latest Menaster is called Gloven and he's holding the Cassiopeia system hostage in a game of baseball. I think this is one funny episode. The baseball game scenario is full of funny stuff. 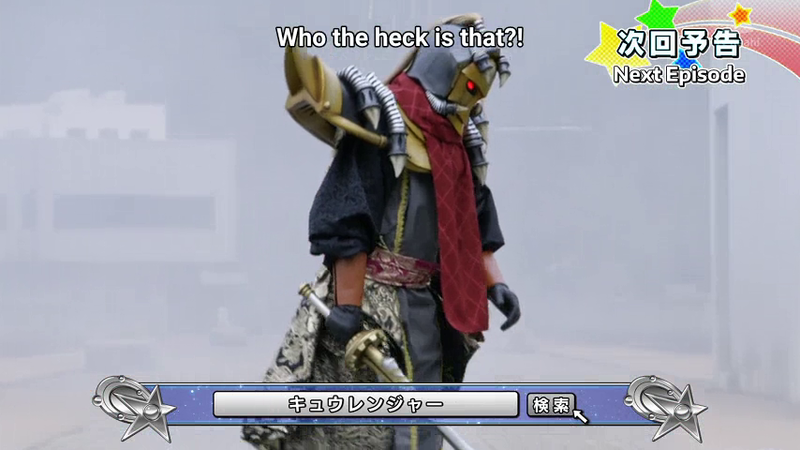 Everyone's doing their best but Spada is weak at it. 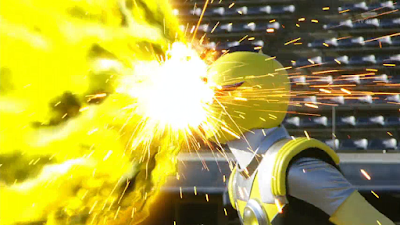 I even laugh at the scenario when Gloven uses his Devil Ball causing everyone to be defeated in this out of suit fight scene. 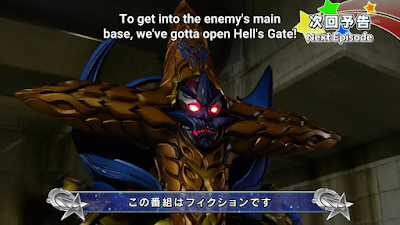 Madako makes an appearance showing she's a cheat by using her Gatling gun to make a point. 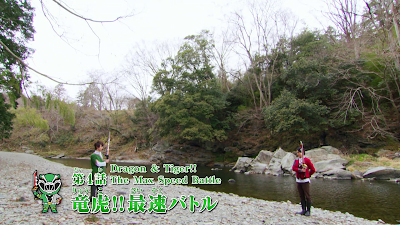 We see a bit of a training scene with Spada and Lucky. 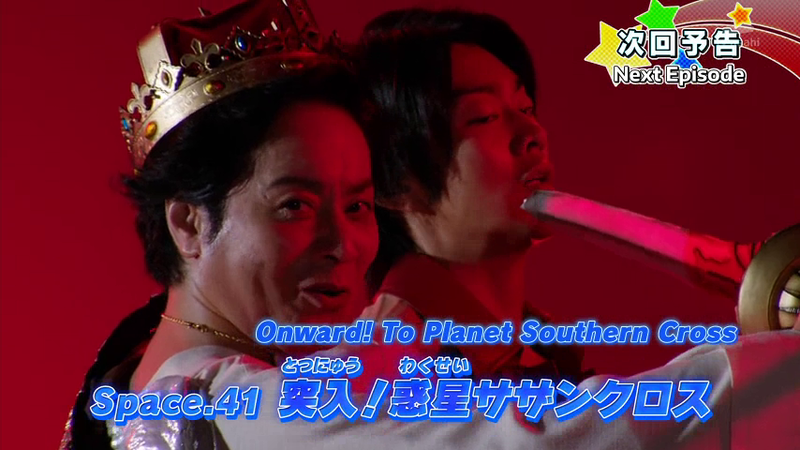 Oh... this reminds me of Bioman's 33rd episode when Shingo gets that training from Hell from his past coach. 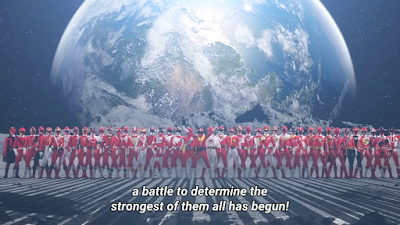 It's not exactly as expanded upon since it's not the focus of the episode. 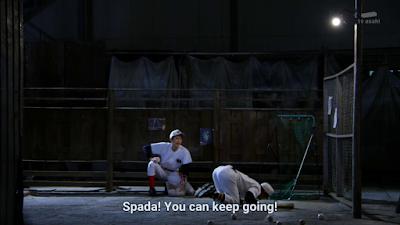 Spada manages to do the absurd against the Devil Ball technique. Yup, it's the Home Home. He doesn't use a bat but his head? I find it really funny how this happened. His head? 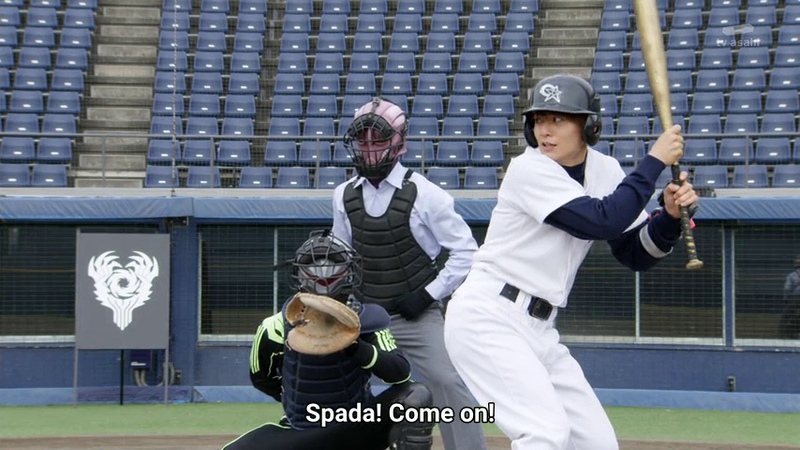 Well, they get the home run and we get a cool fighting scene where only Spada is morphed into Kajiki Yellow. 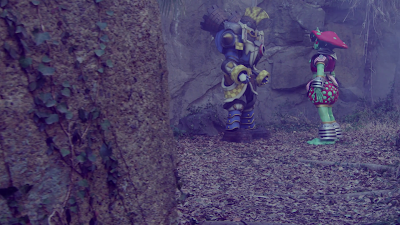 I like how most of the human Kyurangers are fighting out of suit. I know, it's not exactly the quality I enjoyed back in the 80s to 90s action scenes but it's still enjoyable. 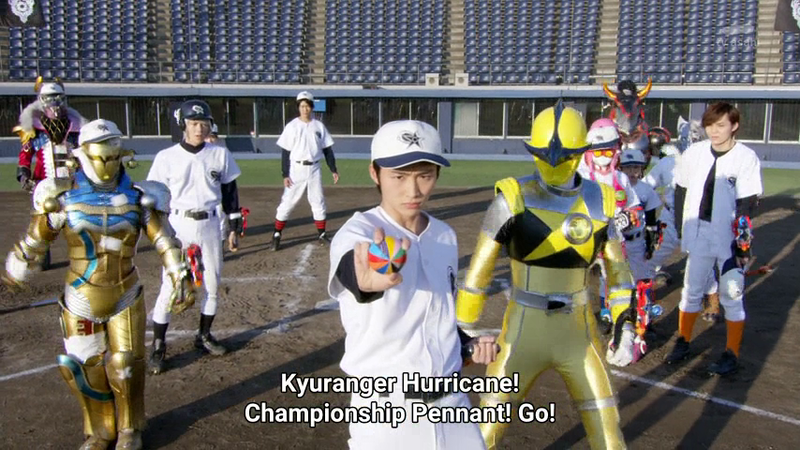 The whole team uses their baseball plus fighting moves to win the game. Lucky then turns into his now overrated Leo Orion form after several scenes of unmorphed fighting scenes. 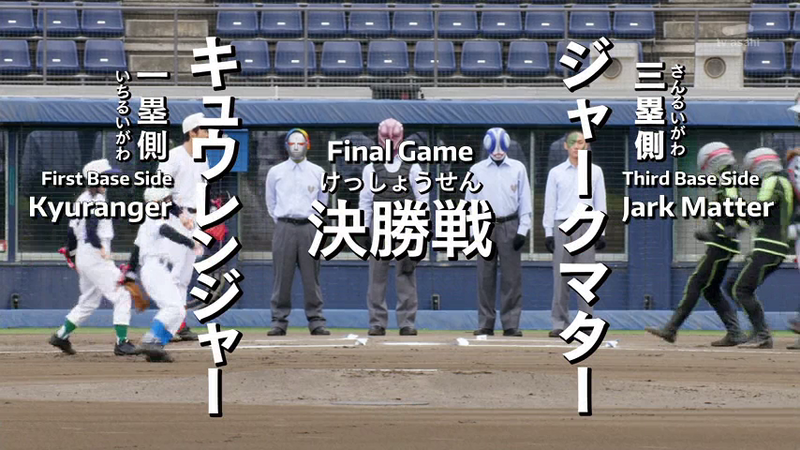 They conclude everything with a game of baseball. 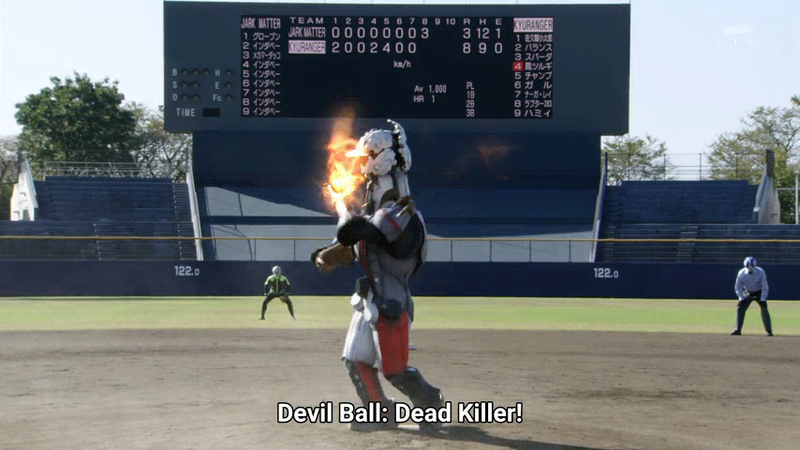 Even the giant robot fight scene uses baseball to save the day. 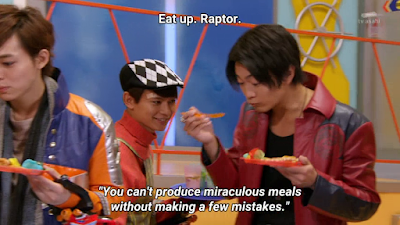 There's always this inspirational quote about innovation at the end of the episode. Spada talks about how perseverance is also needed to do something great. There'll be time you'll make mistakes. You can think of how Super Sentai has had low points and high points. It's important to learn from these mistakes and do better. Innovation means facing failures and overcoming them. His innovative cooking also teaches that lesson. Next week will be the start of the invasion of the Crux System. So what's a general that looks like Black Cross Fuehrer doing here? This villain is known as Southern Cross King. Maybe we'll get a bit of an extended story arc before we inevitably meet the end of the series. I know, I'm already feeling anxiety and excitement at the same time as the series is running towards the end game. Next week, is Lucky's father really alive and the clone back in Space 37 was meant to hide something dark? I may be getting what I actually wish for: a Darth Vader type of villain! Has King Aslan truly been warped into the dark side? Will we see King Aslan throw Don Armage into the shaft of a Death Star type weapon? So how will Lone Starr ahem Lucky face this new revelation if it's what I think it is? I can't wait to find out.